The Griesedieck name has seen quite a lot of action throughout brewing history. Our family’s legacy started in 1711 with Johann Heinrich Griesedieck in Oelde-Stromberg, Westphalia. Just over one hundred years later, in 1870, his great-grandsons Anton, Franz, and Heinrich traveled to St. Louis in pursuit of the American Dream. Anton and Heinrich used their brewery knowledge to open a malt house in south St. Louis City for eight years. They eventually operated multiple breweries, including the A. Griesedieck & Co. Brewery, the Phoenix Brewery, and the National Brewery. Franz’s son, Henry L., eventually opened the Griesedieck Western Brewery in Belleville. One of Anton’s sons, Joseph, was in the first graduating class at the U.S. Brewing Academy in New York in 1870. He, and his brother, Henry, involved themselves in the tradition of their forefathers, and besides working at their father’s brewery, came to manage the Independent Breweries Company in 1906. The Original Griesedieck Brothers was created as a response to the increasing popularity of conglomerates in the early 1900s. The latest wave on consolidation had occurred with the Independent Breweries Company (IBC), with Henry Griesedieck Jr. as company president from 1907 to 1911. Having a natural distaste for big breweries, and wanting his sons to have a brewery, Henry Griesedieck Jr. split from the IBC in December 1911. 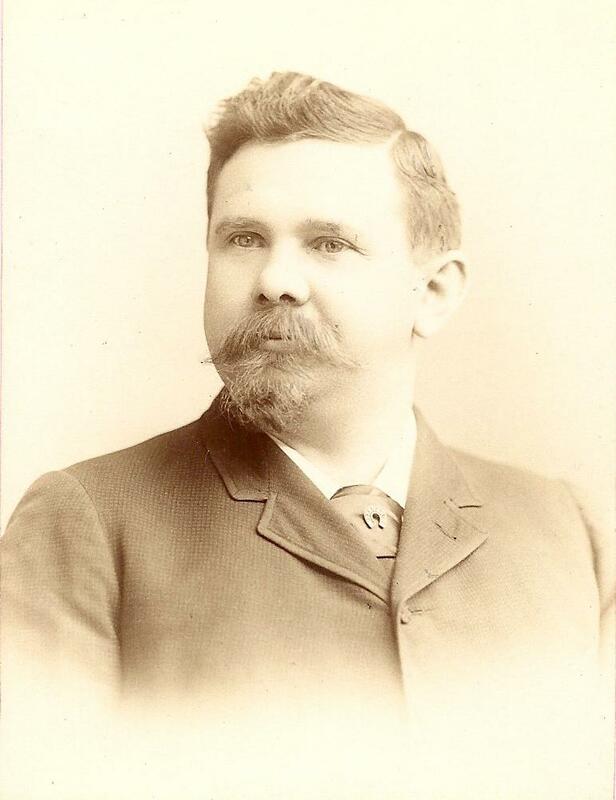 He created Griesedieck Brothers brewery for his five sons – Anton, Henry, Raymond, Robert, and Edward – and named his son Anton as company president. The Griesedieck Brothers purchased the Consumers Brewery at 1920 Shenandoah and set about rehabilitating their new brewery. From 1911 until Prohibition, the Griesedieck Brothers brewery consistently updated and expanded their brewery. 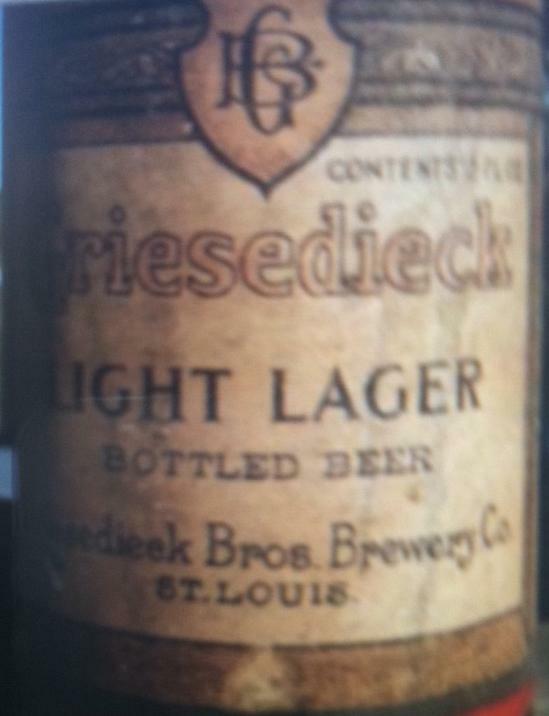 Although the brewery closed down during Prohibition, the Griesedieck Brothers were able to grow their sales to become the best selling beer in the St. Louis beer market. While local competitors Anheuser-Busch and Falstaff jumpstarted production to enter the market right as Prohibition ended, the Griesedieck Brothers updated their brewery and re-entered the market in July 1933. The three remaining brothers led their revived company through consistent growth. By 1936, sales had doubled pre-Prohibition levels, and were 75% higher than those in 1935. Sales in St. Louis were booming so much that the Griesedieck Brothers had to terminate several distributor contracts just to keep up with current demand. Griesedieck Brothers brewery was also a pioneer in marketing. In 1935, Griesedieck Brothers brewery was an industry leader in advertising to women, knowing that even back then women tended to be the primary shopper at grocery stores. Griesedieck Brothers also used cartoons in advertising, implementing Ripley’s “Believe It or Not”, and by providing informational facts about beer, the brewing process, and a focus on quality. President Anton Griesedieck would not live to see the results of these advertising campaigns, as he passed away on December 4, 1935, at the age of 55. Brother Robert Griesedieck took over as president, and implemented the new “handy” or squat bottle for Griesedieck Brothers Light Lager. GB was one of a few breweries who sold these as returnable bottles. By 1941, the brewery had expanded to 400,000 barrels per year, and by then Griesedieck Brothers was the first in St. Louis to utilize the Crowntainer can. The brewery also started to use the phrase “Double Mellow” on its packaging. The Griesediecks hired young brewmaster Edward Vogel, Jr. 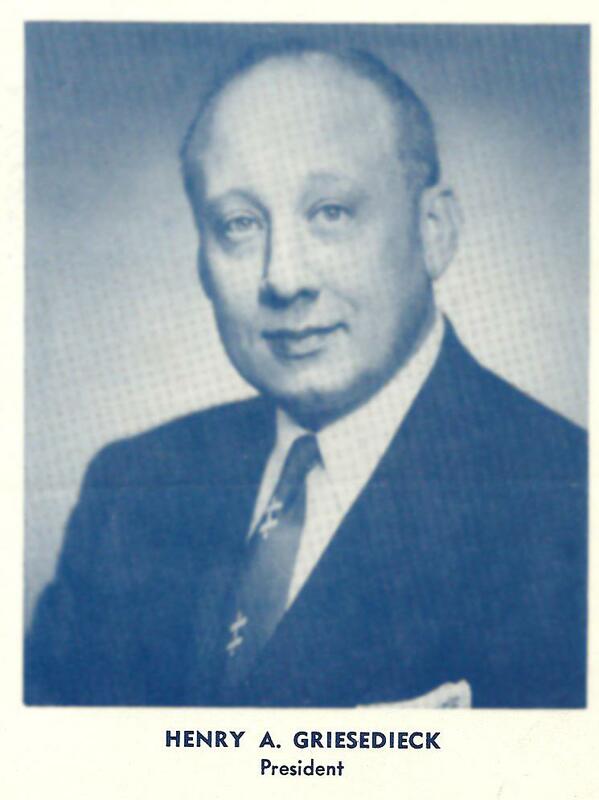 Youngest brother, Edward Griesedieck, ended up taking over after his brother, Robert, died in 1942. The 1940s was a decade of continued expansion for the Griesedieck Brothers brewery. The brewery captured the radio sponsorship rights for St. Louis Cardinals baseball games and St. Louis University basketball. The Griesediecks gave young Harry Caray his start as an announcer, and he would encourage listeners to drink GB during games – broadcasted over a 90+ station, 10 state Griesedieck Brothers – Cardinal Baseball Network. By 1950, the brewery produced nearly one million barrels of beer, and one could find GB beer in 12 states in the Midwest. 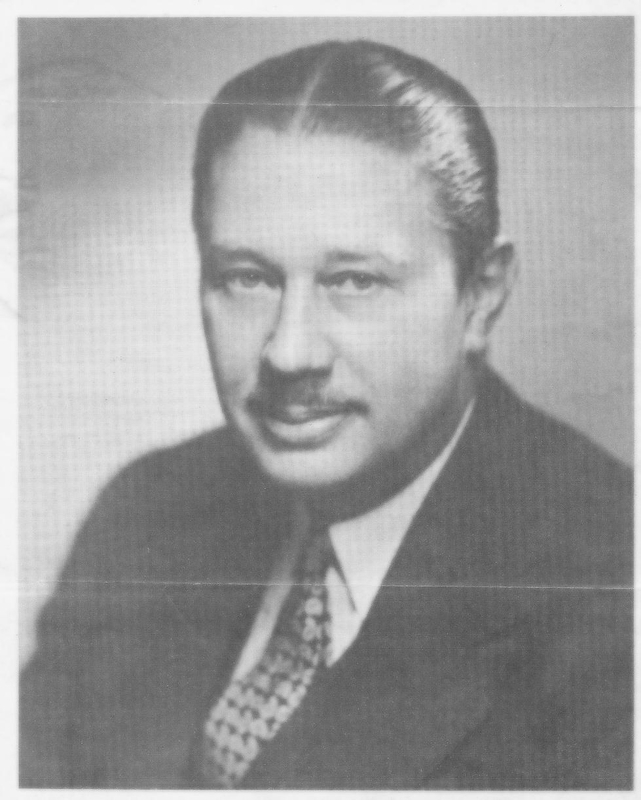 Griesedieck Brothers also stepped up on advertising to black consumers, seeing increased sales in markets such as East St. Louis, Illinois, and Memphis Tennessee. Griesedieck Brothers saw its high point in the early 1950s, with booming sales and 20 hour production days. The Griesedieck plant was one of the most modern and efficient breweries in the country. For the past decade, Griesedieck Brothers had focused its advertising efforts through the St. Louis Cardinals radio network. When the team was put up for sale in 1952, the Griesediecks had the first right of refusal. Cross-town Anheuser-Busch purchased the team, saving the team from moving out-of-town. This was the initial chess move that allowed Anheuser-Busch to increase its local marketshare. During the next two years, Anheuser-Busch required Griesedieck Brothers to relinquish all television and radio advertising for the Cardinals - and ultimately its sponsorship - to Anheuser-Busch, thus eliminating the Griesediecks’ primary form of advertising. From 1953-55, the Griesediecks introduced limited release flat-top cans, available in multiple colors. This “Jubilee Series” was exclusively available during the winter holidays. The Griesediecks also opened a hospitality house designed like a 17th century tavern – called Stein Hall – to maintain good relations with the local community. In 1954, Anheuser-Busch wanted to produce a popular priced beer, but was running at capacity at its Soulard facility. Anheuser-Busch president, August Busch Jr. (Gussie Busch), made an offer to purchase Griesedieck Brothers to brew Busch Bavarian. Griesedieck Brothers declined this offer. 1955 saw a shift in management. The last living brother, Edward Griesedieck, passed away. He was succeeded by his nephew Henry A. Griesedieck as President. During this time of transition, Anheuser-Busch hired away Griesedieck brewmaster Edward Vogel Jr. to produce Busch Bavarian. This new Busch Bavarian was priced significantly lower than GB and cut deep into GB sales, so deep that recovery seemed unlikely. Now Griesedieck Brothers was ready to sell. Both Anheuser-Busch and Falstaff made offers to purchase the Griesedieck plant. Anheuser-Busch even offered Henry a position within their company. Instead, in 1957, President Henry A. Griesedieck and Executive Vice President Edward J. Griesedieck Jr. decided to sell the Griesedieck Brothers Brewery to the Falstaff Brewing Corporation in a stock transfer. By 1960, Falstaff had consolidated local production into the modern GB brewery, and discontinued the Griesedieck Brothers brand. Although G/B was no more, the St. Louis brewing scene remained vibrant. The Griesedieck family continued to operate the brewery at 1920 Shenandoah with the Falstaff Brewing Corporation. In fact, the Number One sales position had passed from Griesedieck Brothers to Falstaff, followed by Busch, Bud, and Schlitz. By the 1970s, though, Falstaff found itself in a costly anti-trust suit with the State of Rhode Island, and the Griesediecks ultimately sold their shares in Falstaff to brewing magnate, Paul Kalmanovitz. The Griesedieck Brothers Brewery, which had been in continuous operation, one way or another, since 1850, ultimately closed its doors in 1977.